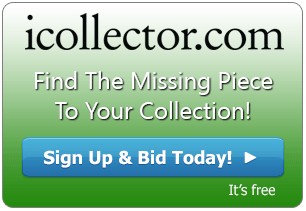 Prop Domain Auctions are presenting their monthly auction up for absentee and live bidding on iCollector.com. This auction, taking place on Saturday December 10th, will be featuring over 220 lots screen used props from a wide range of movie categories including feature items from Superman, Batman, Stargate, Star Wars, Hellboy, and Chucky. Regular customers of Prop Domain are welcome to the auction, and secure registration for new bidders is available online. The live auction will be presented with a live audio feed from the always entertaining David Brandon, who is the founder of Prop Domain auctions, and top ranked horror movie site, HorrorDomain.com. Bidders can enjoy the commentary on each item, how he came about to acquire each piece, and bid alongside fellow collectors in pursuit of authentic props and memorabilia. In addition to feature items from blockbuster movies, the auction will also have many one of a kind costumes and body parts from famous horror movies. Whether your budget is $10 or $10000, David will have something to offer you to use at your next party, or to add to your collection. Lot 5 is a piece of Spiderman from the Avengers Infinity War upcoming blockbuster. Prop Domain is offering a chest piece with glyph and webbing. This is a complete chest panel that was used in filming and production of this upcoming film. This is very similar to a piece from The Amazing Spiderman 2 that Prop Domain has sold in the past. The photo in the online catalog shows a side by side comparison of the two pieces to show the differences. There is a full description of the colors and webbing in the online catalog. This is a must by for movie collectors and fans of the Marvel Universe. Lot 96 is a fabulous piece from the Hellboy series of movies. This is a cool utility belt that includes a leather belt and a buckle. There are six leather pouches of different sizes. Also included are the rosary beads, clips, and crucifix cross. Of course, the all important Samaritan is there with the leather holster. Prop Domain has sold the entire wardrobe and here is the final package for auction. This is estimated in collectors value up to $12000 and bidding is opening at $4500. Photos are available for inspection online. Creepy clowns were all over the news this recent Halloween, and Prop Domain has a great one from Scary Movie 2 coming from their collection. 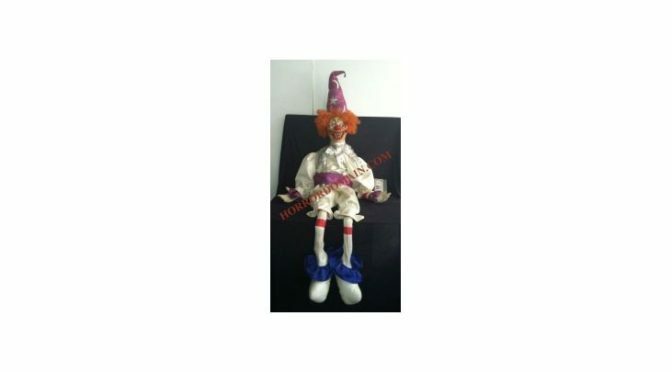 Up for grabs at Lot 130 is a screen used poltergeist evil clown puppet. This is a very cool prop, matched to the screen, and from one of the most memorable scenes of the film. He was under the bed and nobody can forget this guy. This is a keeper piece for any collection and comes with both the doll and puppet bodies. There is a great photo in the online catalog for viewing. This is opening at a very low price to get everyone in on the action. An auction from Prop Domain is not complete without one of his favorite offerings from the Chucky series of movies. At Lot 7 is a complete hero Chucky puppet that is screen used from the Bride of Chucky. This is one of the most significant modern horror props offered at auction and is one of only 3 that were completed. This particular package is comprised of props from Bride of Chucky and Seed of Chucky. There is a very detailed description about how this puppet was put together and how it came to be such a significant part of horror history available in the online catalog. Also, a full array of photos are up for viewing. There is no telling where the bidding will end up on this item but it is a must have for horror collectors. Prop Domain has held onto this for a while. However, it is available to sell for the right price.